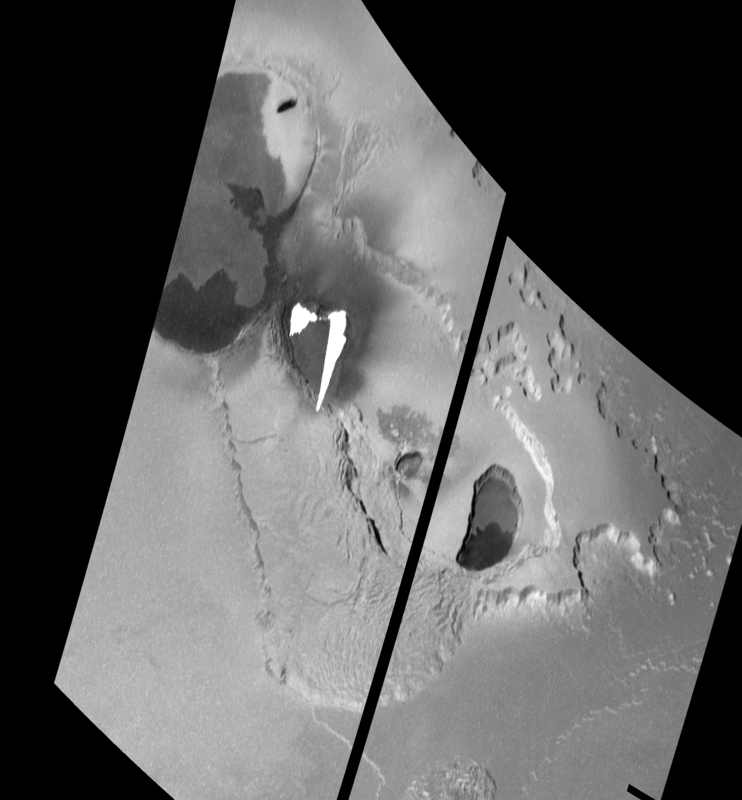 This week, for our series covering one Ionian volcano each week, we are taking a look at a large volcanic region in Io's north polar region, Tvashtar Paterae. Yesterday for part one, we took a closer look at some of the images Galileo acquired and the geology of this region. 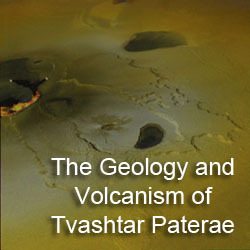 In summary, Tvashtar Paterae is a string of four volcanoes that show various signs of recent or current volcanic activity. Three of these volcanic depressions, or paterae, are surrounded by a U-shaped mountain that has been modified by sulfur dioxide sapping, forming canyons that cut as deep as 40 kilometers (25 miles) into the plateau, and slumping. Today, we focus on the intense volcanic activity observed at Tvashtar during the Galileo mission, mainly between November 1999 and October 2001. 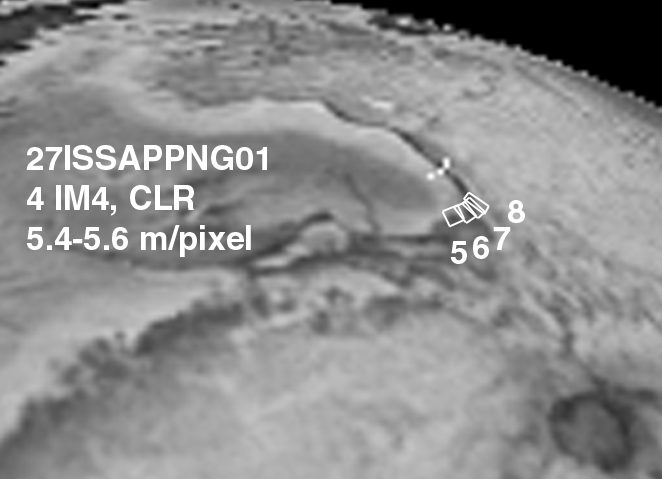 Tomorrow, we will focus on more recent volcanism at Tvashtar, including the outburst that accompanied the New Horizons flyby in February 2007. We will also summarize what the eruption style at Tvashtar tells about how its lavas are fed. Before I continue, I should point out the image at above right. I have labeled each of the four volcanoes at Tvashtar: A, B, C, and D. I hope this reduces confusion over the next two articles about which volcano I am referring to. So if I discuss an eruption at Tvashtar B, I am referring to the second volcano from the left. Tvashtar A is the large, heart-shaped volcano with the whale-shaped lava flow/lake on the northwest end of Tvashtar Paterae. Tvashtar C is the small patera with the faint lava flows that radiate out to its north and east. Tvashtar D is the steep-sided, kidney-shaped patera with a dark lava flow covering its southern half on the southeastern end of Tvashtar Paterae. It is hard to believe now after more than 10 years of observing various Tvashtar eruptions that prior to the outburst eruption of November 1999, a faint thermal hotspot, resulting from an excess of near-infrared energy being emitted by cooling lava flows, was seen at Tvashtar on only two occasions: by the Galileo SSI camera in April 1997 when the moon was in Jupiter's shadow and by Franck Marchis and his colleagues at the European Southern Observatory (ESO) on September 30, 1999. 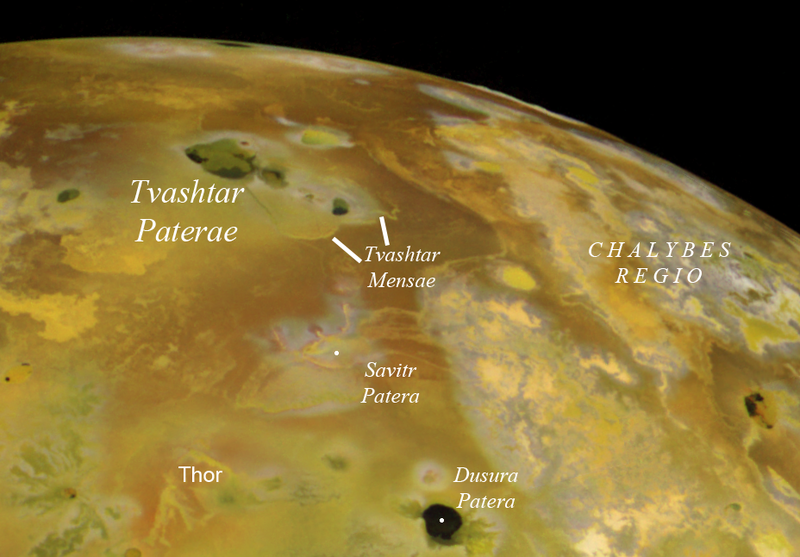 Over the period between the Voyager flybys in 1979 and the Galileo encounter with Io in November 1999, there doesn't appear to be any evidence for surface changes in and around Tvashtar Paterae. There were a few patches of dark material seen in color data acquired in July 1999 that represent lava flows or lakes that were active before then, including two dark regions in Tvashtar A, a 25-kilometer (16-mile) long L-shaped flow in Tvashtar B, and a dark region covering the southern half of Tvashtar D. So volcanism was a common geologic process at Tvashtar, but during the Galileo mission and perhaps during the 16 years leading up to it, the region had been largely dormant except for a pair of small, precursor eruptions. Tvashtar's dormancy came to a crashing halt on November 26, 1999. 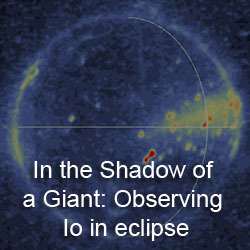 In conjunction with the Galileo flyby of Io occurring that day, Bob Howell of the University of Wyoming used the NSFCAM at NASA's Infrared Telescope Facility (IRTF) in Hawaii to image Io a few hours after Galileo's encounter. His images revealed a bright hotspot at Tvashtar, one of a rare class of intense outburst eruptions. Images taken by Franck Marchis and his group at ESO and infrared photometry taken at the IRTF and the Wyoming Infrared Observatory (WIRO) revealing only a faint hotspot at Tvashtar provide time constraints for the start of the eruption to sometime after November 24. 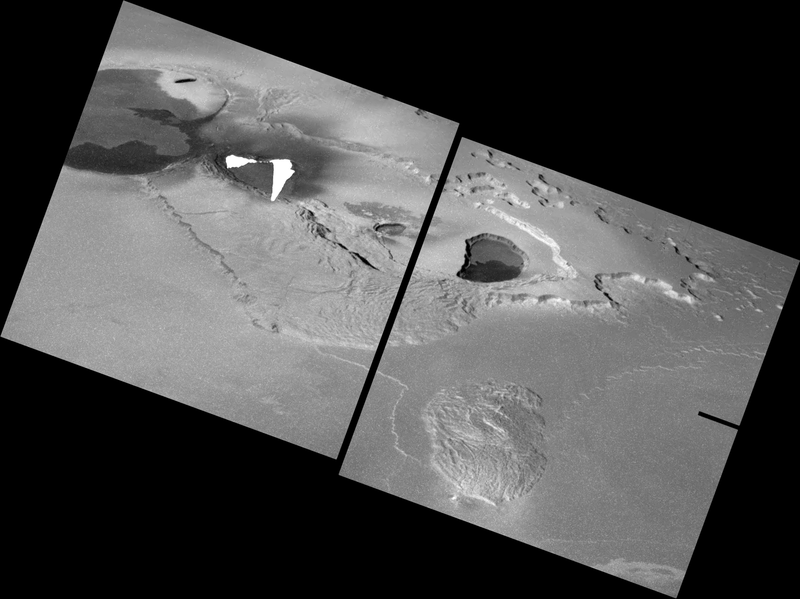 Howell estimates that such eruptions are occurring 2–4.5% of the time somewhere on Io. 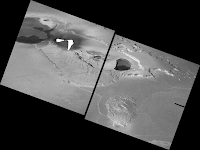 Assuming that the most intense period of a volcanic eruption on Io last approximately two days before calming down, this suggests that approximately six such eruptions occur each year somewhere on Io. At least two others were observed by ground-based observers in 1999: at Grian Patera in June and at either Tawhaki or Gish Bar in August. So the chances that Galileo would be able to image an eruption such as these at high resolution without knowing where an eruption might occur, given the amount of coverage it acquired during an individual flyby (~2–4% of the surface), were pretty slim. However, it just so happened that the Galileo imaging team had targeted Tvashtar for a two-frame mosaic during Galileo's I25 encounter on the day of the most intense period of the eruption. More luck came when Galileo engineers were able to send up commands quickly enough to bring the spacecraft out of safe mode before the Tvashtar observation was to be taken. The safing event also ensured that there would be enough downlink time to return all of the images in this mosaic, as the higher-priority, high-resolution observations were not taken. 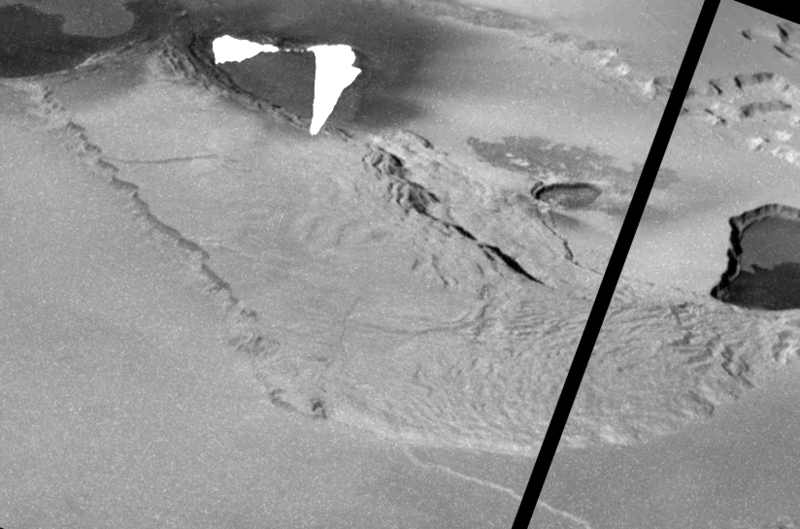 These images were returned in early December and revealed a pair of over-exposed streaks along the northern margin of Tvashtar B. 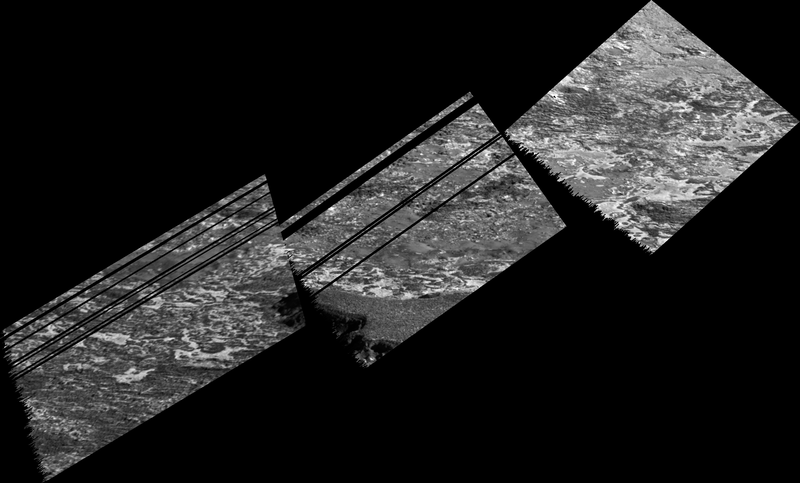 These streaks resulted from bleeding in the CCD detector array in Galileo's SSI camera. 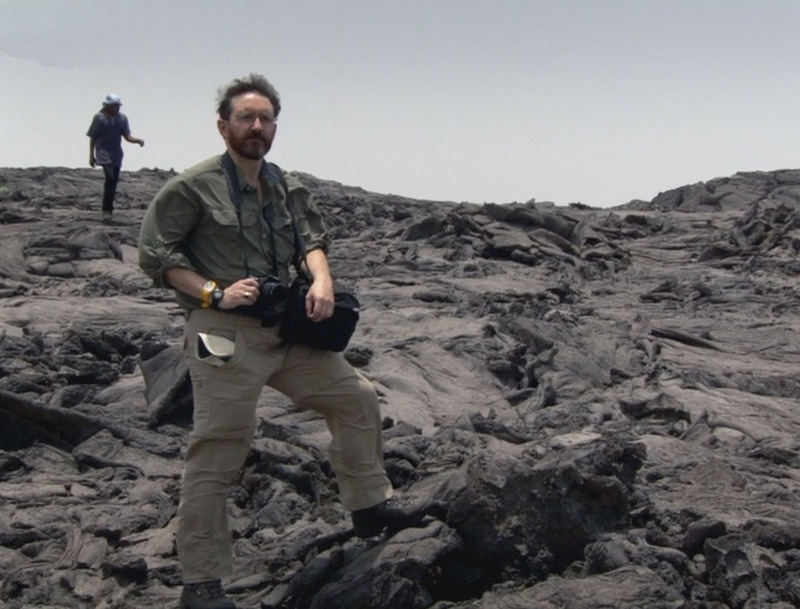 Based on their knowledge of how this type of camera overexposure occurs, Galileo imaging scientists were able to reconstruct the geometry of the exposed, hot lava that caused it. Assuming that the fissure it originated from was roughly linear, they estimated that the bleeding area was caused by the intense thermal emission from a curtain of lava that reached 1.5 kilometers (5,000 feet) into the cold, Ionian sky. This lava curtain, or line of lava fountains, was split into two main sections along the western and eastern halves of a 25-kilometer (16-mile) long fissure vent that runs along the northern edge of the floor of Tvashtar B. Considering the global rate of outburst-class eruptions (~3-6 eruptions with a VEI > 4–5), it was incredibly fortuitous to observe at high resolution such a rare class of Ionian eruption. To better understand how this bleeding occurs and how they were able to estimate the height of the lava curtain, let's use some *shock* horrible, over-used analogies. Imagine that each of the 640,000 pixels of the Charged-coupled detector (CCD) on Galileo's camera is like a bucket that you fill with photons, which are converted to electrical charge in the bucket. The number of photons it takes to fill the bucket (pixel, or DN, value of 255 in an 8-bit camera) is defined by the observation's gain state (lower gain states mean fewer photons can fill the bucket, higher gain states require more), and the time you leave the bucket out to be filled is defined by the exposure time. Filter selection and the sensitivity of the silicon the CCD was made out of constrains the types of photons (wavelengths) you allow in the bucket. When the bucket is filled with so many photons that it overflows, or saturates, photons pour out into the buckets, or pixels, above and below it in the detector array. How this overflow or bleeding develops was determine through calibration of the camera system. For every bucket or pixel above the original over-exposed pixel that is itself overflowing, nine pixels are filled below it. The longest column of bleeding consisted of 94 pixels, and taking into account the lava flow below the fissure, Milazzo et al. 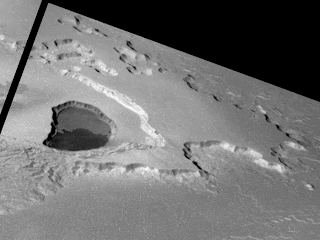 2005 found that 11–16 of those pixels covered the lava curtain and flow. Milazzo et al. estimated that the lava fountains on the western end of the fissure, least contaminated by the presence of a lava flow on the ground, were 360–900 meters (1,180–2,950 feet) tall. Adding up all the electric charge caused by the intensity of photons from this eruptions and the exposure time of the image, they found an electron flux, corresponding to the rate at which photons filled those pixels, of between 0.94 and 1.8 × 108 e- pixel-1 s-1, which corresponds with lower limit on the brightness temperature of 1300–1350 K. Similar brightness temperatures were detected at the western end of the fissure. Spectra from the Near-Infrared Mapping Spectrometer (NIMS), taken as the instrument rode along with the SSI mosaic observation, also covered a portion of the lava curtain, though much of their data over the eruption was also saturated. Using a non-saturated pixel in Tvashtar B, Lopes et al. 2001 found a color temperature for the hot component of 1060 ± 60 K. This was considered a lower limit since the unsaturated pixel used did not cover the hottest areas seen by SSI, other NIMS pixels that were saturated likely covered areas that were hotter, and the influence of reflected sunlight all cause measured temperatures to be underestimates. To follow up on the November 1999 observation of an outburst at Tvashtar, an eruption they could pin down to a specific date, Galileo observed Tvashtar during an encounter on February 22, 2000 (also known as I27) using images with a scale of 315 meters (1,033 feet) per pixel. 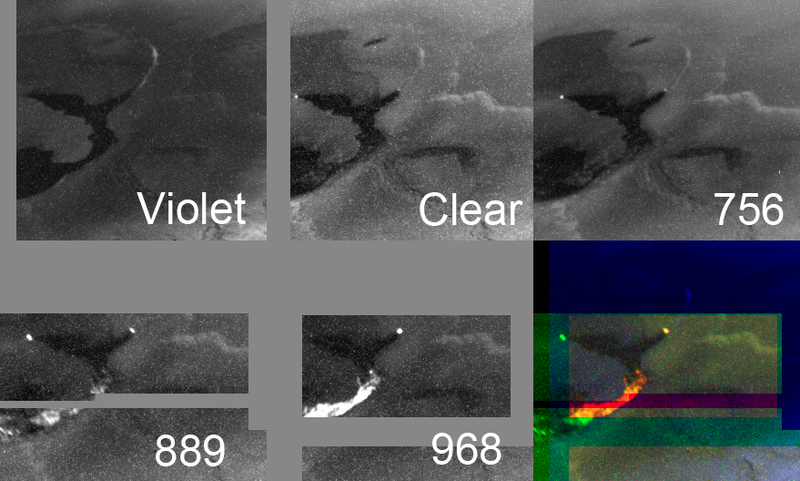 This observation used five images at different filters (violet, clear, 756 nm, 889 nm, and 968 nm) to measure lava temperatures more accurately than was possible in the I25 data and to determine the silicate composition of the lava by looking for an absorption band around 900 nm that is thought to be formed by orthopyroxene, a mineral found in basalt and other mafic igneous rocks. A composite of these images is shown at right. As you can see, the activity at Tvashtar B had largely shut down, leaving behind a dark lava flow that matches the appearance of an older flow seen before the eruption. This is confirmed by color temperatures measured by NIMS of between 500 and 600 K, indicative of cooling silicate lava and/or very small exposures of fresh lava. While B had quieted down, Tvashtar A had heated up. 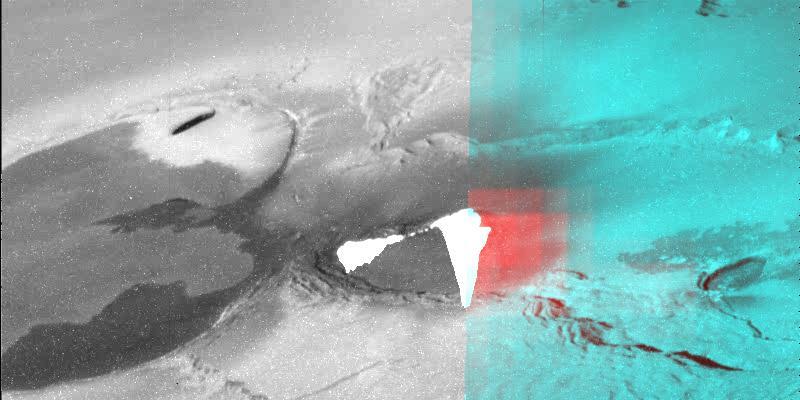 Images acquired using filters that were sensitive to near-infrared light revealed glowing lava within much of a whale-shaped lava flow that runs along the southern and eastern end of Tvashtar A. These thermal hotspots were not seen in the clear-filter data in November 1999. Small glowing hotspots were also visible at the end of each of the flukes of the "whale" (note to John Spencer: I think it looks like a whale, and since this is my blog, I can say it looks like a whale, so there :-p ). These hotspots are possibly the source of the lava that is seen glowing at a cooler temperature farther south and west. Milazzo et al. 2005 measured a color temperature of at least 1220 K for these small hotspots. Farther south and west, the dark region within Tvashtar A glowed to the point that it saturated the camera's detector in places in the 889 nm and 968 nm filter images. This shows up as the red and orange area within the flows in the image above. Milazzo found a mean temperature of the unsaturated pixels in this region to be approximately 1300 K, though higher temperatures or greater fractional areas (the more likely of the two) is possible in the saturated pixels. 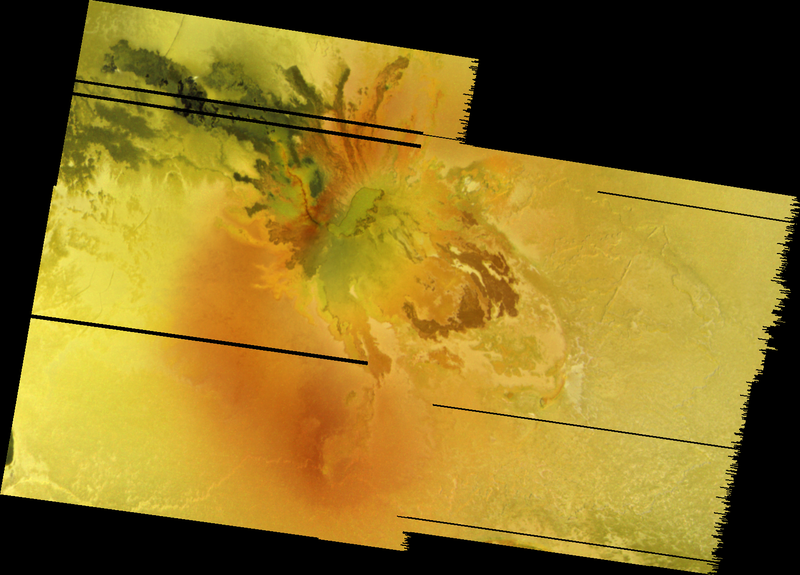 Given the high temperature of this large region, a cooling lava flow is unlikely. 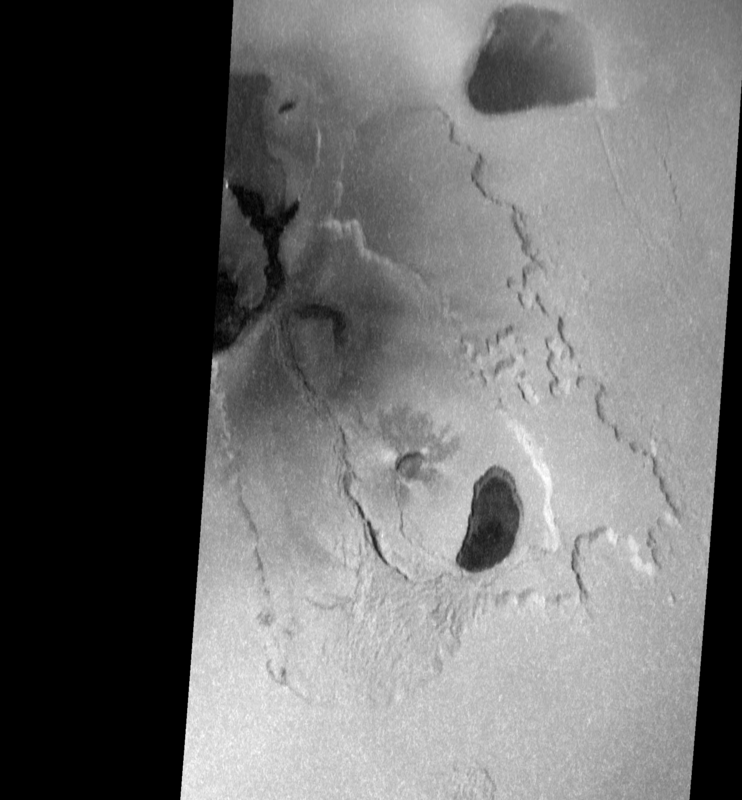 Milazzo suggests that this area maybe a lava flow that is fed by lava tubes and flows mostly below a cooled lava crust, in which case the thermal emission observes comes from sub-pixel skylights, or the area is one big lava lake that is only intermittently active. I know Moses favored the lava lake hypothesis, but in reality, a mixture of eruption styles was likely. Tvashtar remained active into late 2000 when Galileo and the passing Cassini spacecraft made joint observations Io and the Jovian system. 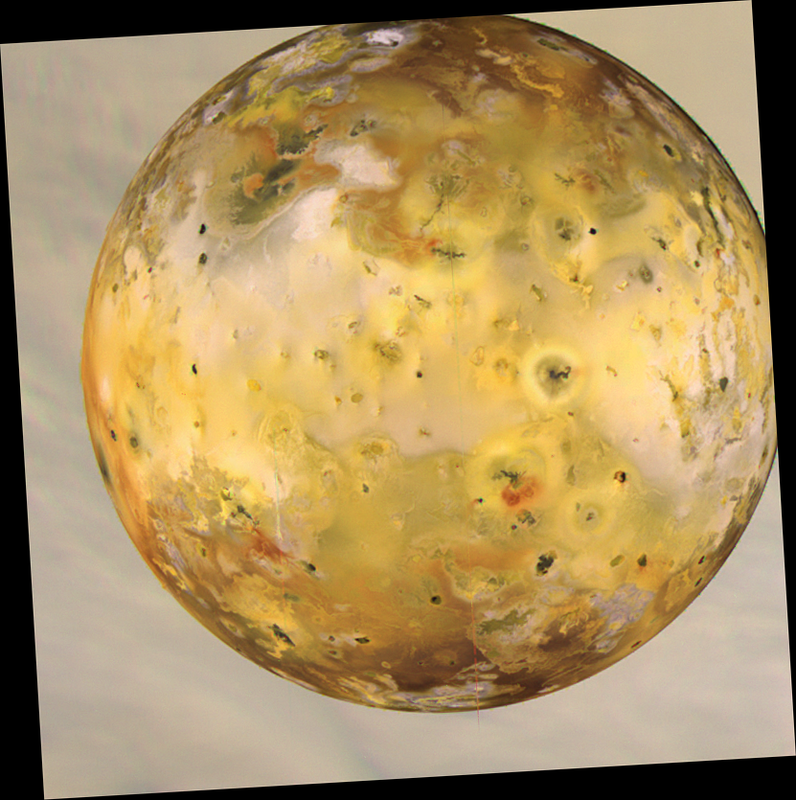 While Cassini observed Io from ten times farther away than Galileo, the increased wavelength coverage its camera provided allowed researchers to observe more gas-rich plumes, like Pele's, as well as detect a thermal hotspot at that volcano. Using such images taken at ultraviolet wavelengths, a large volcanic plume with a height of 385 kilometers (240 miles) was observed over Tvashtar Paterae by the Cassini ISS. 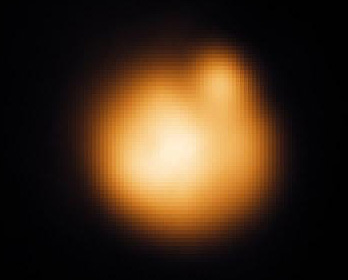 This corresponds with a red oval plume deposit, seen in Galileo images taken on December 30, 2000, that encircles Tvashtar. This deposit is quite similar to the one that surrounds the volcano Pele, and suggests that the plume was enriched with elemental sulfur enough to form an optically thick layer of S4 on the surface. This plume accompanied yet another intense, outburst eruption, observed from Earth by Marchis et al. using the adaptive optics system at the 10-meter Keck II telescope in Hawaii. Tvashtar remained active in observations from Keck taken on February 19, 2001, but it was less energetic than it was in December 2000. The area and temperature reported by Marchis et al. 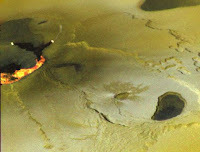 2002 was consistent with a cooling lava flow with only a moderate amount of new activity, relative to the intense, lava fountain-enhanced eruptions seen in November 1999 and December 2000. 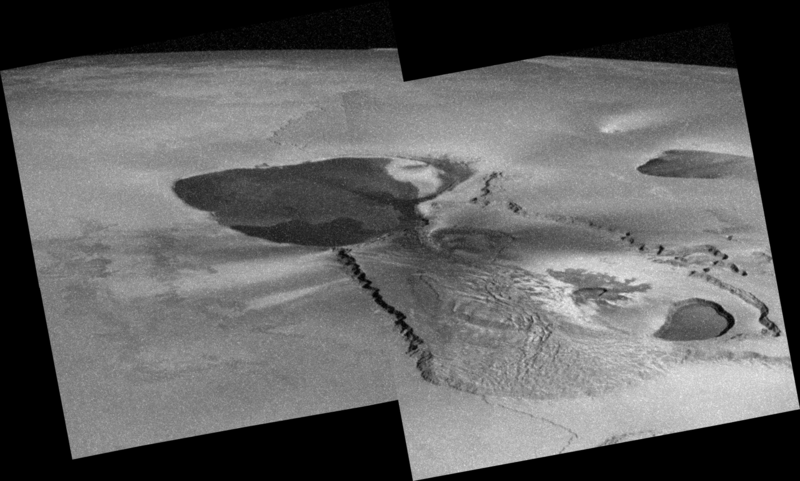 During the next two Io flybys on August 6 and October 16, 2001, Galileo took advantage of several opportunities to image Tvashtar up-close in the wake of these intense eruptions. 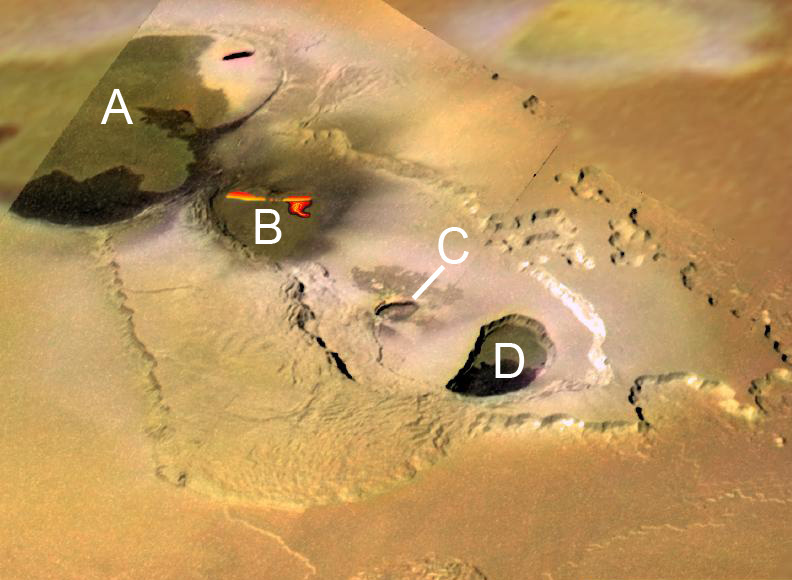 The best of these two flybys for observing Tvashtar was the first (I31) as the spacecraft flew nearly directly over the volcano at an altitude of 300 kilometers (186 miles), within the plume seen by Cassini. Two very-high-resolution observations were planned by Galileo SSI during the encounter: a 6-frame mosaic at 3-5 meters (10-16 feet) per pixel across the I25 vent region in Tvashtar B and its northern patera wall and a 6-frame, context mosaic at 50 meters (164 feet) per pixel that covered Tvashtar B and portions of Tvashtar Mensae to its north. Unfortunately, due to a camera anomaly, these observations were lost. Low-resolution global images at 19.6 kilometers (12.2 miles) per pixel showed that the plume deposit encircling Tvashtar that Galileo observed in December 2000 had faded quite a bit due a mix of relative inactivity and deposits from a fresh eruption at Thor to the southwest of Tvashtar. NIMS was not affected by the SSI anomaly and took high quality data over Tvashtar during this encounter. This observation revealed the complex distribution of warm lava and pyroclasts across the Tvashtar portion. 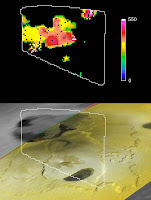 The main red hotspot in the data shown at above left corresponds with the likely source for the December 2000 plume and lava fountains along the southwestern wall of Tvashtar B. 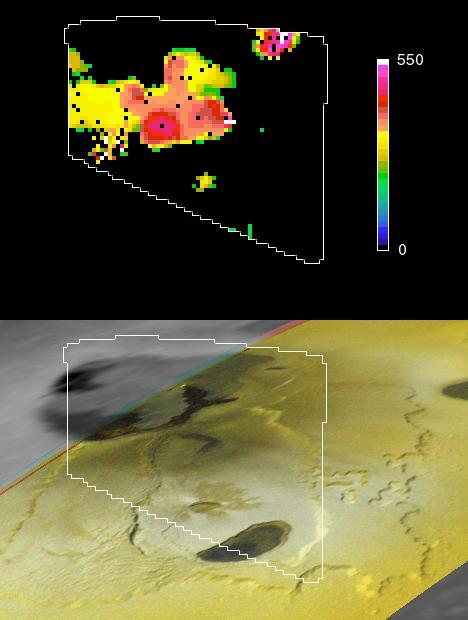 Two additional hotspots are visible at the lava flow that formed during the November 1999 eruption and along the northeastern margin of Tvashtar A. Fainter flows were also detected from the whale-shaped flow in Tvashtar A and from Tvashtar C.
Galileo's final opportunity to image Tvashtar came on October 16, 2001 during its I32 flyby of Io. 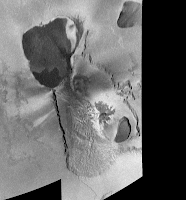 This time Galileo flew over Io's south polar region, leaving only an opportunity to image Tvashtar at a more oblique angle later in the flyby. The resulting two frame mosaic, at 200 meters (656 feet) per pixel, does reveal changes that occurred at Tvashtar as a result of the December 2000 volcanic eruption. 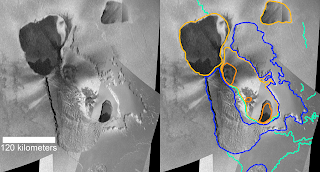 These include a fresh lava flow across portions of Tvashtar B, likely forming during the eruption seen by Cassini and fresh pyroclastic deposits to the east and southwest of that patera. The extent of these dark deposits is consistent with the type of volatile-rich volcanic eruption that would also spawn a 400-kilometer-high, sulfur-rich, volcanic gas plume. New dark material was also seen along the northeastern edge of Tvashtar A, the site of a NIMS hot spot in August 2001. This suggest that volcanic activity had gotten going in the interval between the I27 and I32 SSI observations there as well. The distribution of this fresh dark material with a new pyroclastic deposit as it appears to cover both the edge of the patera floor and the terraced wall above it, though the NIMS observations suggests that at least some lava flowed out from this vent. 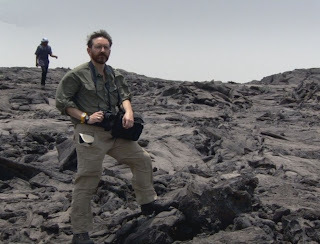 Finally, the dark lava flows that covered the southern half of Tvashtar D had pretty much faded by October 2001. The Tvashtar region endured a series of violent volcanic eruptions between November 1999 through at least December 2000, and Galileo and Cassini had front row seats to the action. 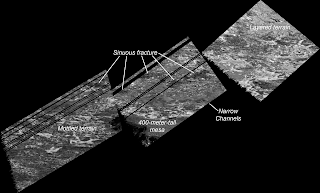 Galileo observations from the SSI camera and NIMS spectrometer indicated that volcanic activity in the region was waning throughout 2001, with much of the thermal emission coming from older, cooling lava flows, though some fresh activity was likely at Tvashtar B and in parts of Tvashtar A and C as late as August 2001. However, by December 2001, ground-based observations from Keck showed that Tvashtar had quieted down to the point that it was no longer detectable using their instruments. However, that was not all she wrote for Tvashtar. 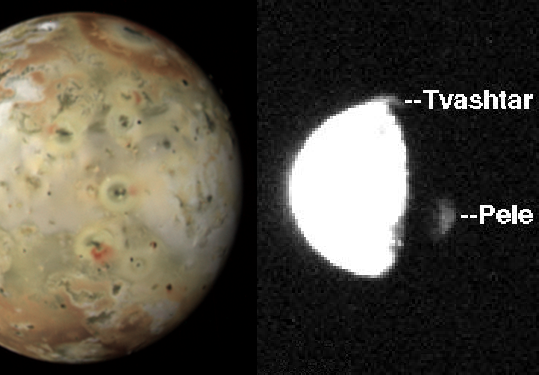 As we will see tomorrow, there are third and fourth acts for Io's volcanoes as we examine observations of Tvashtar from ground-based telescopes and the New Horizons spacecraft after Galileo's mission ended. Tomorrow, we will also discuss what the various eruption styles at Tvashtar tells us about how its lavas are fed. McEwen, A. S.; et al. (2000). 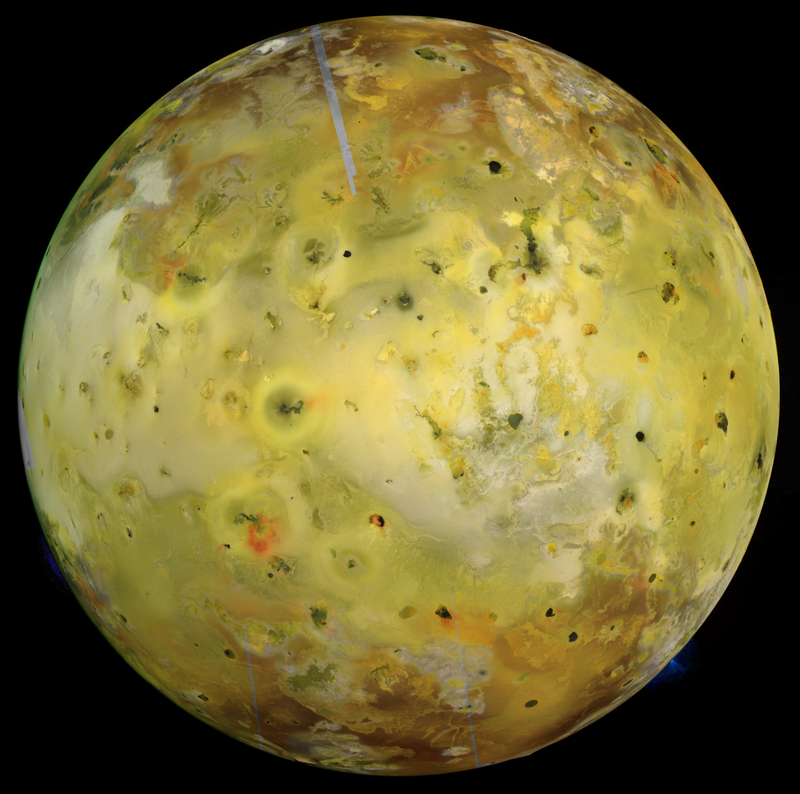 "Galileo at Io: Results from High-Resolution Imaging". Science 288 (5469): 1,193–1,198. Lopes, R. M. C.; et al. (2001). 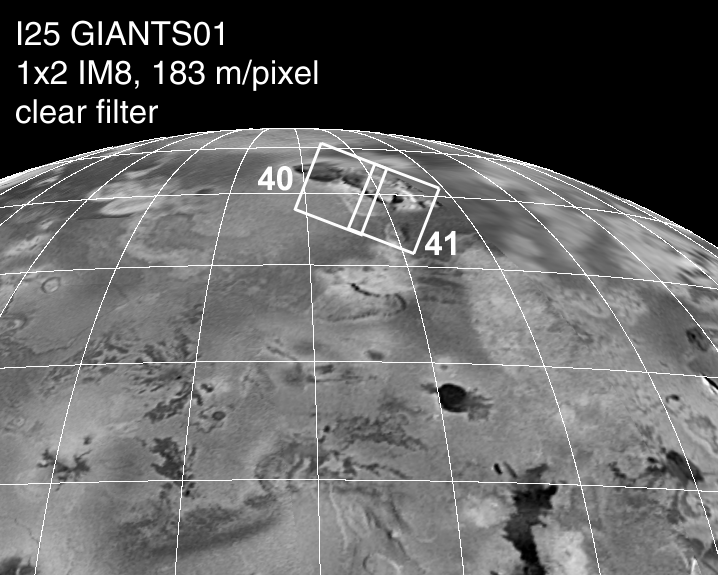 "Io in the near infrared: Near-Infrared Mapping Spectrometer (NIMS) results from the Galileo flybys in 1999 and 2000". Journal of Geophysical Research 106 (E12): 33,053–33,078. Howell, R. R.; et al. (2001). 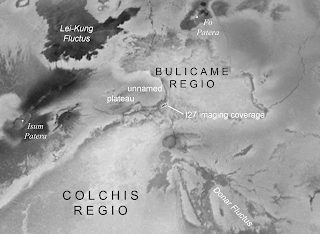 "Ground-based observations of volcanism on Io in 1999 and early 2000". Journal of Geophysical Research 106 (E12): 33,129–33,139. Marchis, F.; et al. (2001). 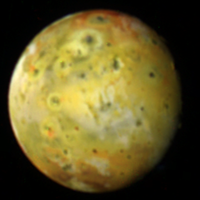 "A survey of Io's volcanism by adaptive optics observations in the 3.8-μm thermal band (1996-1999)". Journal of Geophysical Research 106 (E12): 33,141–33,159. Marchis, F.; et al. (2002). 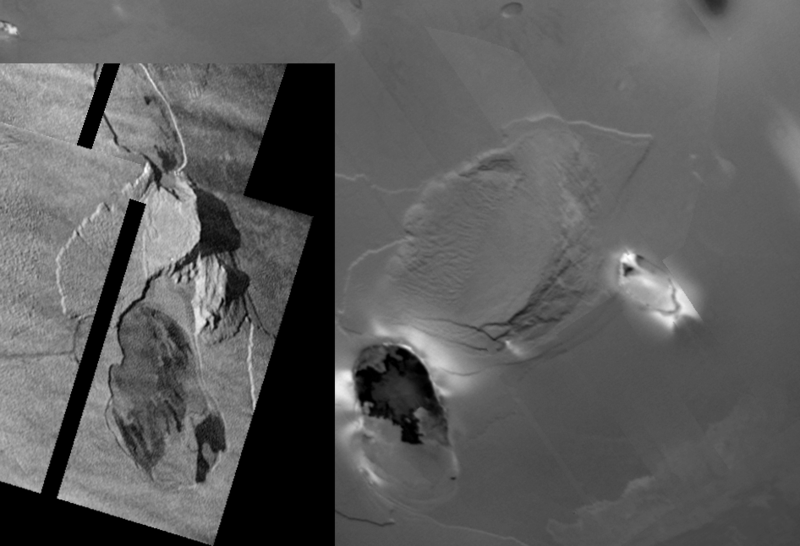 "High-Resolution Keck Adaptive Optics Imaging of Violent Volcanic Activity on Io". Icarus 160: 124–131. Porco, C.; et al. (2003). "Cassini Imaging of Jupiter’s Atmosphere, Satellites, and Rings". Science 299 (5612): 1,541–1,547. 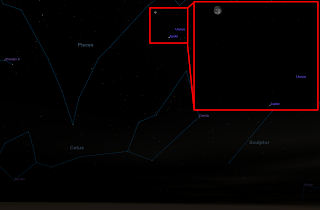 Jupiter and the Moon are particularly close tonight in the late evening and night sky. 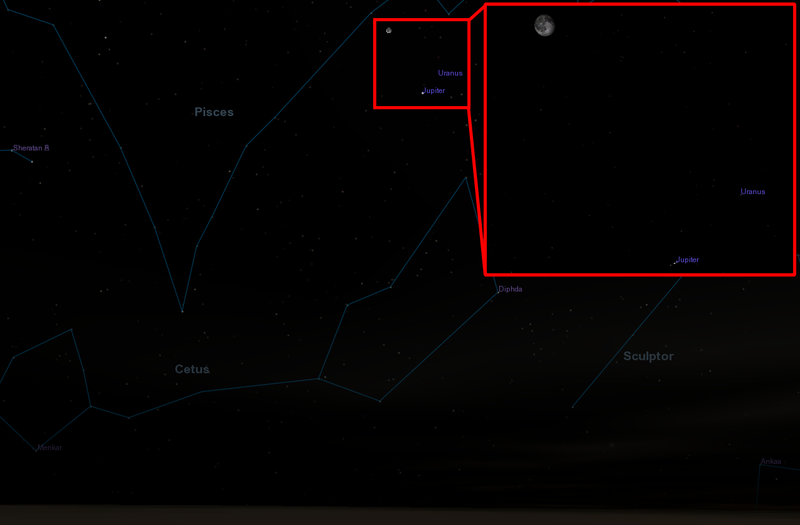 The simulated view to the right shows the sky to the southeast at around 11:06pm local time (since the moon is moving slowly across the field of background stars, YMMV). And nothing special happens right at 11:06pm, that's just when I pressed stop in Celestia ;-) The close proximity of the Moon to Jupiter (and Uranus) makes it a bit easier to locate those planets, so it is worth taking a look, even for those who don't have telescopes (like myself). Jupiter is approaching opposition, which occurs on September 22. On that date, Jupiter will be opposite the Sun from the Earth, meaning the planet (and its attendant moons) will rise over the horizon at sunset, reaches its highest point in the sky at local midnight, and set below the horizon at sunrise. This is also the best opportunity to observe Jupiter because it will reaches its largest size in the night sky. In fact, this will be Jupiter's closest approach to Earth than at any other time between 1963 and 2022. The Carnival of Space #168 is now up over at Weird Sciences. Read up on Trojan kuiper belt objects, bistatic experiments on the Moon, and the Laser Interferometer Space Antenna (LISA). 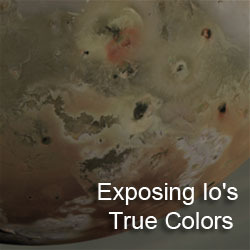 I submitted my write up on a method for creating true color images of Io for this week's Carnival of Space. Emily Lakdawalla of the Planetary Society Blog is this week's featured Woman in Planetary Science. I'll admit, I never read that blog much because, well, I'm not a woman in Planetary Science. But after reading a few of the profiles, I see that many of the experiences are pretty universal, and can be useful for both men and women who are considering a career in this field. Just a quick reminder to my readers in the US that the "Io" episode of the Science Channel mini-series, Wonders of the Solar System, is on tonight at 9pm EDT/6pm PDT. An encore presentation will air at 12am EDT/9pm PDT in case you missed it the first go around. The five-part series, a production of the BBC, is hosted by Brian Cox, a particle physicist from the Univ. of Manchester. The show aired back in its home country earlier this year. The episode is actually titled, "Dead or Alive", and the topic up for discussion is planetary geology. In addition to the extensive discussion of Io's volcanism, the episode also focuses on volcanism on Mars, Venus, and the Earth as well as impact cratering on the Earth. If you get the Science Channel (preferably in HD) from your cable, fiber optic, or satellite TV provider, then I would definitely recommend checking it out tonight. The last episode, which airs next Wednesday, will focus on the potential habitability of Europa and Mars and the influence water has had in shaping many of the worlds of our solar system. All I will say is that people who put on gas masks for just a wee bit of sulfur dioxide are silly! Come on! That sulfuric acid that is created in your lungs will put hair on your chest! You wouldn't see Morgan Freeman using a gas mask if he did one of his Wormhole shows from Erta'ale. And in the second video, I have that book! Not the Ethiopia one, the other one! I even wrote a review of it a couple of years back. One other reminder is that the series will be coming out on Blu-ray and DVD on September 7. Not sure if these are the BBC Two versions that will be released in the US, as they are about 15 minutes longer due to the lack of commercials breaking up the fun. Remember a time when Jupiter only had 16 satellites? Or when the only extra-solar planets know where a trio around a pulsar and a recently discovered handful? Or when the only known impacts on Jupiter seen by astronomers (or its after effects) were the Shoemaker-Levy 9 impacts in 1994? I do. Sometimes in science, once a discovery is made or observation recorded, it unleashes a torrent. First, one new moon is discovered out beyond Callisto (Themisto) in 1999, then another, then another at Saturn, and the next thing you know, both Jupiter and Saturn have 60+ known moons. Same for extra-solar planets, we've found so many, they are merely just part of a statistic for the Kepler team. 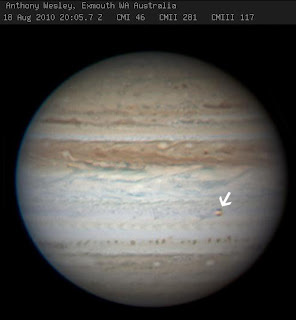 Last July, amateur astronomers found an impact site on Jupiter, formed after an asteroid struck Jupiter's southern hemisphere. Then this year, on June 3, astronomers Anthony Wesley and Christopher Go spotted a meteor impact the planet's upper atmosphere, burning up before it could leave its own mark on the solar system's largest planet. Well, it has happened again. 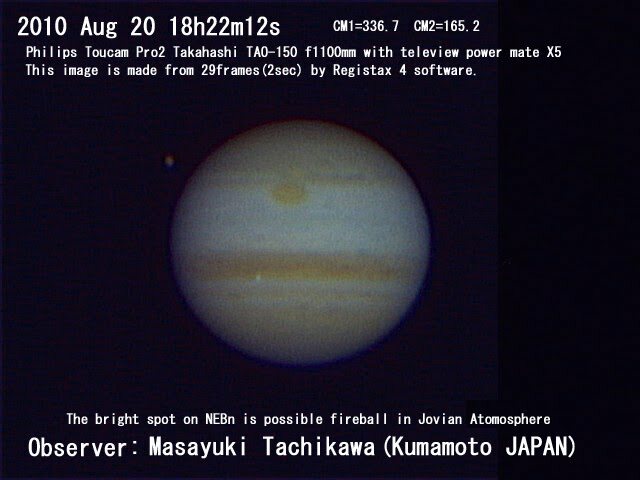 On Friday, August 20 at 18:22 UTC (Saturday morning in Japan), Japanese astronomer Masayuki Tachikawa detected an optical flash, likely from a meteor striking Jupiter's upper atmosphere using a Philips Toucam Pro2 USB camera attached to his telescope. The impact is the first to be seen over Jupiter's northern hemisphere, occurring on the northern edge of the North Equatorial Belt (south is up in the image above) just to the east of the Great Red Spot's longitude. A detailed report on the discovery can be found over at the ALPO-Japan website (scroll down to the bottom for an English description of the observation). A video of the optical flash can be found on that site as well, though I found it best to save the file first before playing it. A French description (the first link I saw with this news, posted by Eric Soucy, tip o' the hat to him for this news) can be found at Ciel et Espace. The ALPO-Japan website also has images from after the impact, taken yesterday. So far there doesn't appear to be any evidence for an impact scar, like the June 3 fireball. UPDATE: Nick Previsich found a great English language link describing how this discovery was made from the Sky and Telescope's website. Another Update: Two more excellent blog posts from Daniel Fischer and Emily Lakdawalla (who has a Youtube version of the optical flash video up) I would remiss to point out. UPDATE 08/23 2:38 am: Thanks to Kelly Beatty and Emily Lakdawalla for pointing out some independent confirmation that this optical flash is in fact an impact on Jupiter. The Carnival of Space, hosted here last week, is hosted this week for the 167th Edition over at Space Tweeps, a group of Tweeters who post quick space news on Twitter. A couple of posts that caught my eye include one from Paul Schenk showing off some new videos he created using topography and color data from Cassini and another from the IAG Planetary Geomorphology Working Group discussing hematite-rich regions on Mars (like the area Opportunity is sprinting across this week). We are approaching next month's once-every-13-months alignment with Jupiter known as opposition. As we get closer to the opposition on September 22, many amateur planetary astronomers are pointing their scopes up at Jupiter to catch the best views of the planet on offer this year. One of my favorites showing Jupiter with Io is this one at right from Anthony Wesley, an astrophotographer out of Australia (who is best known for discovery not one but TWO impacts on Jupiter). It was taken on Wednesday from Exmouth, Western Australia. 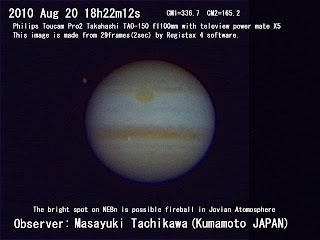 You can find more images of Jupiter by astronomers from around the world over at the ALPO-Japan and from the Cloudy Nights forum. Finally, Björn Jónsson created a nice, 12-frame color mosaic from Voyager 1 data of Jupiter. Very nice! I hope he posts more. Today at a press conference at NASA HQ in Washington, DC, scientists from the Lunar Reconnaissance Orbiter Camera (LROC) team announced their discovery of lobate thrust fault scarps on the surface of the Moon that indicate that not only has the Moon's radius shrunk by 100 meters, but it has done so in geologically recent times. High-resolution images of these scarps show that they cross-cut small impact craters, which would normally be removed over hundred-million-year timescales by thermal cycling of the soil by the moon's month-long day, solid body tides from its gravitational interaction with the Earth, and micrometeorite impact gardening. What would cause such shrinking? When the moon was formed out of the impact of a large planetoid into the infant Earth, it initially was molten. Over time the crust and core solidified, but its mantle still contained a large amount of molten silicate magma. Magma from this "magma ocean" on occasion reached the Moon's surface, filling many of its large impact basins, creating the dark mare basalt regions. Over time, the Moon's mantle cooled and solidified as a result of reduced heating from radioactive elements, conduction through the Moon's crust, and the removal of hot magma through volcanism. Now as you may remember, for most materials, the phase change from a liquid to a solid causes a change in the density of the material. For silicate magma, the density increases, so for a given amount amount of magma, the volume will decrease when it solidifies. When this occurs on a planetary scale, such as a the Moon or Mercury, as the interior of the planet cools and solidifies, the planet or moon shrinks. When this shrinking occurs, the crust of the planet must accommodate it. After all, when the volume decreases, the surface area also decreases. This causes compression within the crust which can be taken up by compacting loose surface material or reducing pore space, or through thrust faulting. Thrust faults are low-angle faults that allow the surface above the fault to be pushed up on top of the rock beneath it. The surface expression of thrust fault on the Moon or Mercury is a arcuate scarp. 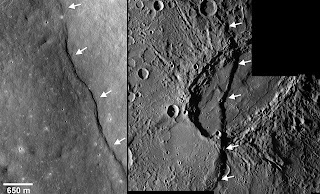 Examples of these scarps are shown above from the Moon (shown on the left side of the side-by-side image above from LROC data) and from Mercury (shown on the right). The lunar scarps are smaller than their Mercurian cousins, rising only 100 meters above the surrounding terrain at most, with the majority only rising a few tens of meters. On Mercury, like Beagle Rupes shown above cutting across the oblong Sveinsdóttir crater, these scarps are much than those found on the Moon, often rising a kilometer or above the surrounding terrain. Their height, length, and estimated horizontal displacement suggest that Mercury may have contracted by several kilometers. 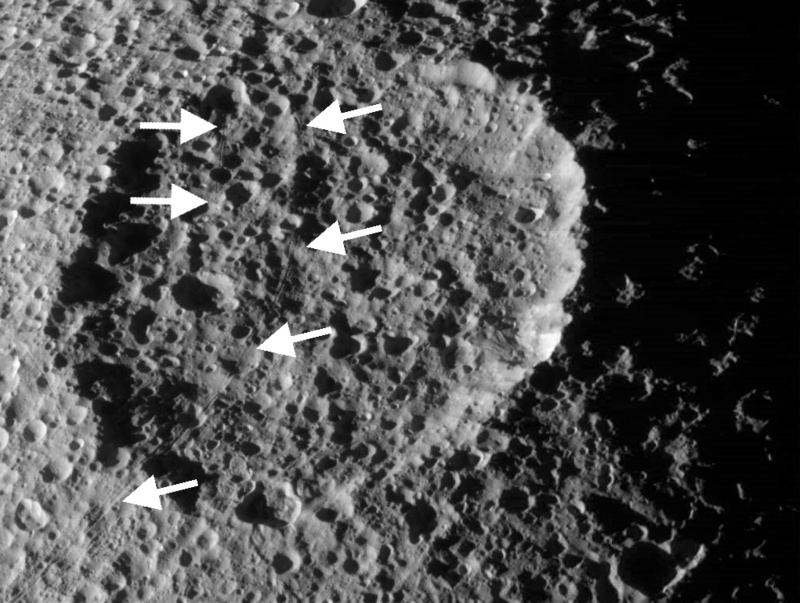 MESSENGER images will be used to date these scarps to determine when this shrinkage occurred just as the LROC group has done. The situation is a bit different for icy bodies. Unlike silicates, when water solidifies its density decreases and volume increases when it freezes. So the radius of icy bodies increases rather than shrinks like rocky worlds like the Moon and Mercury. The equivalent feature to the lobate scarps of the rocky bodies formed from this expansion are the narrow extensional fractures that criss-cross ancient worlds like Tethys, Dione, and Rhea. The image at left, taken last Friday by Cassini, shows a pair of narrow fractures that cut across Penelope, an ancient impact basin on Saturn's moon Tethys. 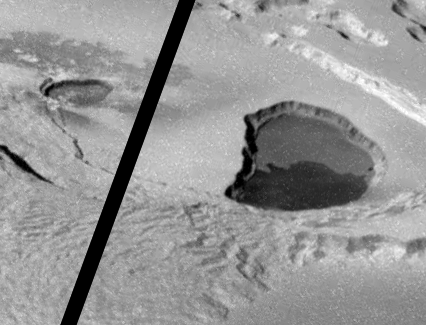 These fractures suggest that these worlds have expanded as a result of the solidification of water in their interior more recently than the heavy bombardment that produced the plethora of impact crater visible in scenes like the one at right. 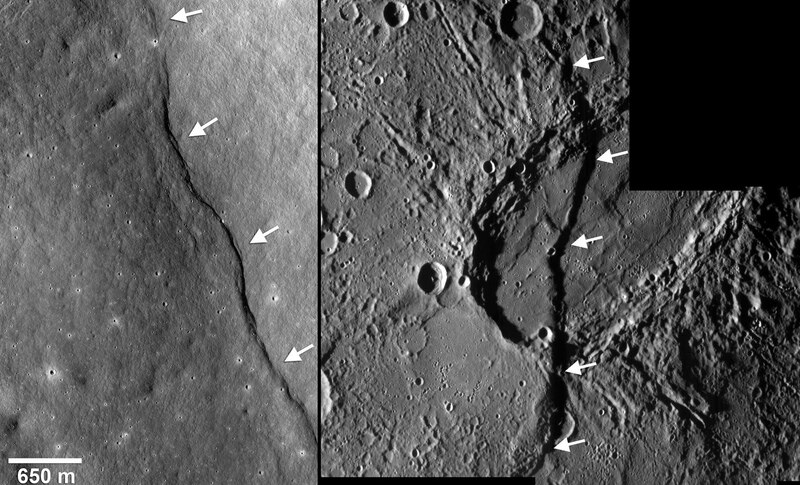 Like the work being performed at the Moon and Mercury, finding and mapping these fractures and measuring the amount of displacement they accommodated will tells us how much these moons have expanded (and thus how much of their interiors remained molten until comparatively recently) and approximately when, based on superposition relationships with impact craters. Now this wouldn't be an Io-centric blog without pointing out that the lobate thrust fault scarps seen on the Moon and Mercury are puny when compared to equivalent features on Io. Now, obviously, unlike those two geologically dead(ish) worlds, Io is much more active and its mantle still has a large melt fraction. 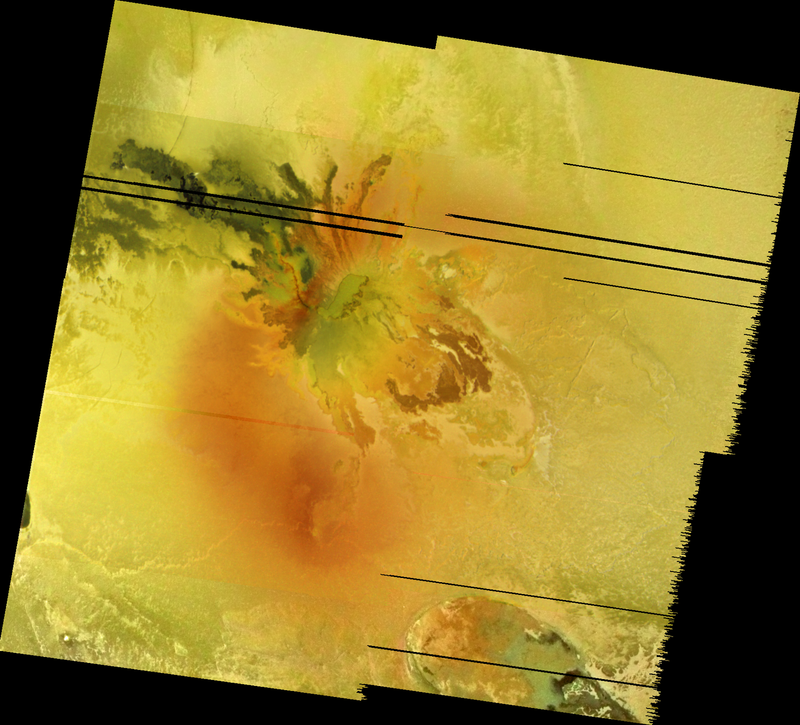 Its volcanoes dredge up enough material every year that it could cover the entire surface of Io in a layer one centimeter thick (though the amount of resurface varies greatly from place-to-place). These centimeters add up, and after a million years, the surface of Io is covered in approximately 10 kilometers (6.2 miles) of cooled lava, sulfur, and sulfur dioxide (though some of this material is locally recycled, so 10 km maybe an upper limit). 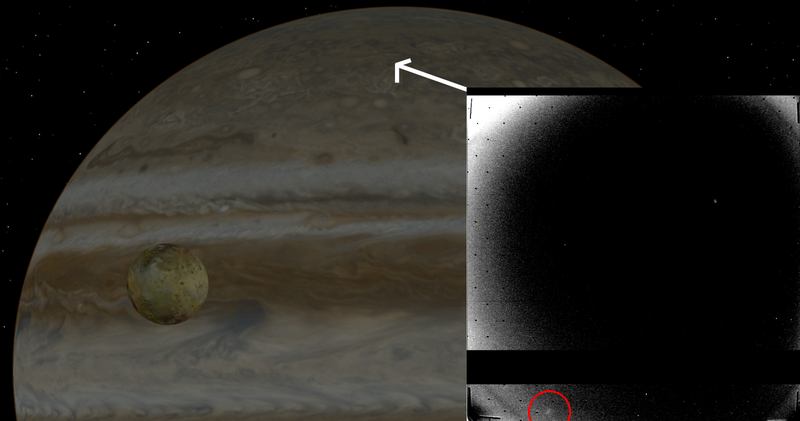 This has the effect, for the present-day surface, of shrinking the radius of Io by 10 kilometers in one million years. As a result of global subsidence, thrust faults drive up massive "lobate scarps", also recognized as the mountains of Io. Two clear examples of this are shown at left, Gish Bar Mons and Euboea Montes. 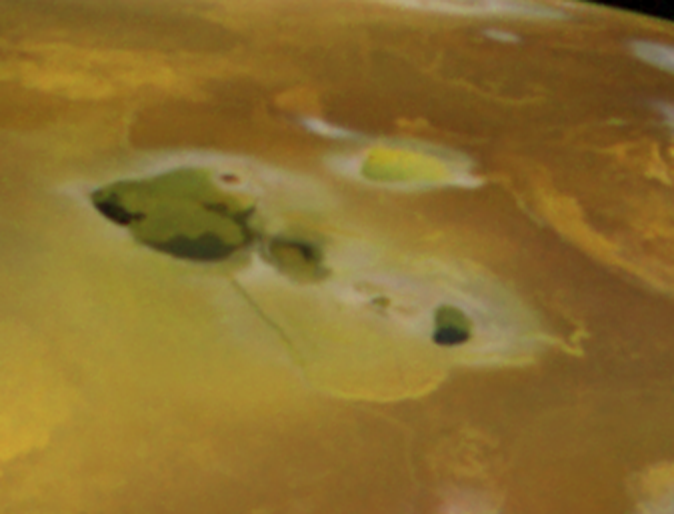 Both mountains reach 8-10 kilometers above Io's surrounding plains. Of course, this may be an over-simplified model for how Io's mountains form, so I would recommend reading my article on various formation models for more information on the details. This study of lunar lobate scarps highlights the need for global high-resolution studies, whether we are talking about the Moon, Mars, Mercury, or Io, as LROC images allowed researchers to assess the global population of these cliffs. Once their true distribution was determined, they could then come up with a proper model of how they formed. This provided an important glimpse to the Moon's recent geologic activity, after the formation of the mare basalts.